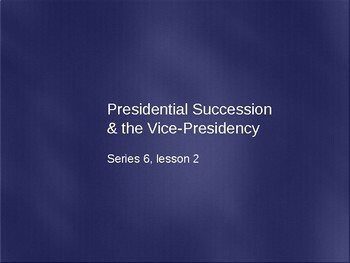 1.	Who are the first 5 people in the line of succession to the Presidency? 2. 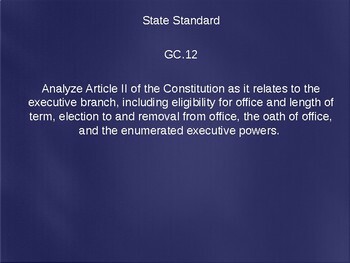 Which amendment finally made the V.P. succession legal? 3. Describe the two ways the V.P. 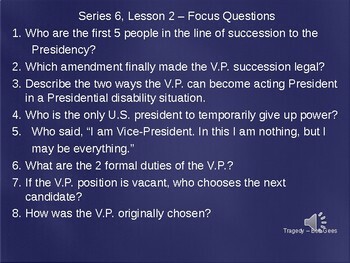 can become acting President in a Presidential disability situation. 4.	Who is the only U.S. president to temporarily give up power? 6. What are the 2 formal duties of the V.P.? 7. If the V.P. position is vacant, who chooses the next candidate? 8. How was the V.P. originally chosen? Be sure to get "Political Cartoon #8" to go with this presentation.